Peel the carrots and grate them into long threads. 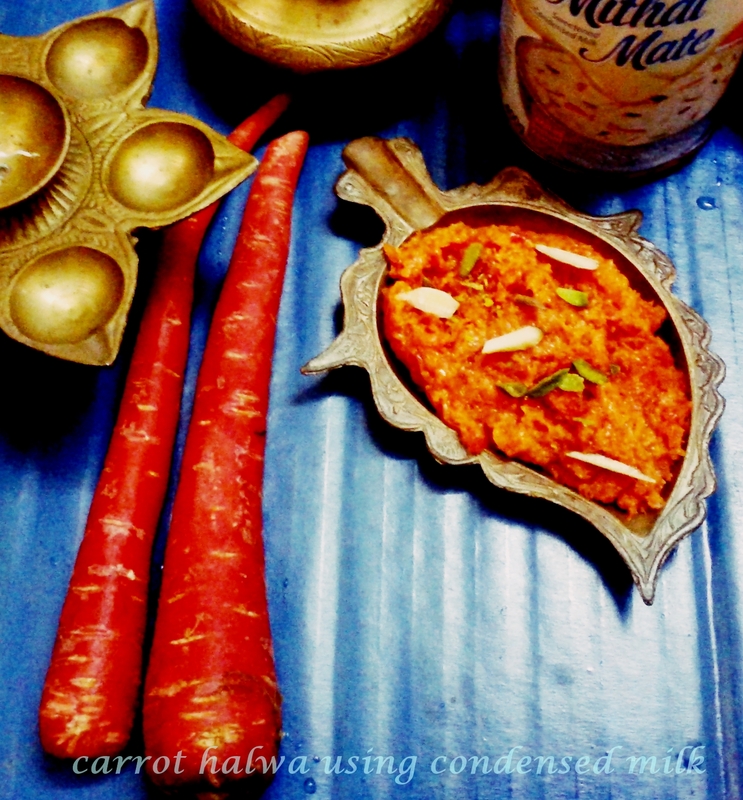 Heat a tbsp of ghee in a kadahi and add grated carrots to it and saute for 3-5 minutes on high heat. Add half cup of milk and mix well, keep stirring occasionally. Simmer for 5 minutes or till the milk is evaporated completely. Once the milk evaporates, the carrots will be almost cooked. Now add condensed milk / milkmaid and mix well,keep stirring occasionally. making sure carrots are completely cooked and doesn't get burnt from the bottom. Keep mixing till the milk evaporates completely.check for sweetness if required you can add some sugar though condensed milk contains sugar. Finally add cardamom powder and chopped nuts and give a good mix. Serve carrot halwa hot garnished with few more chopped nuts .